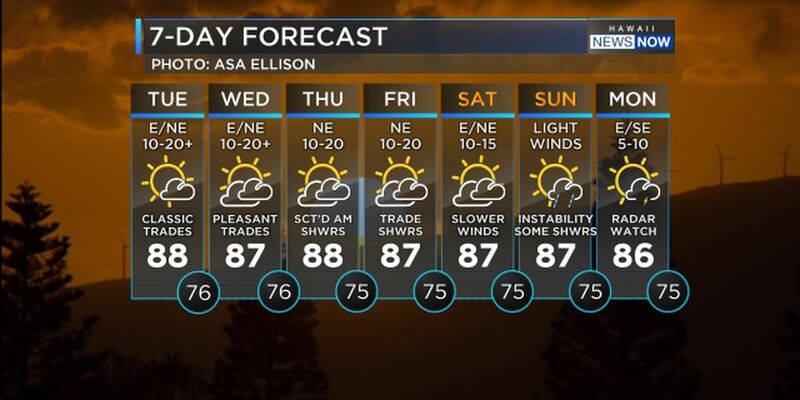 The refreshing trade winds will be here throughout the week. 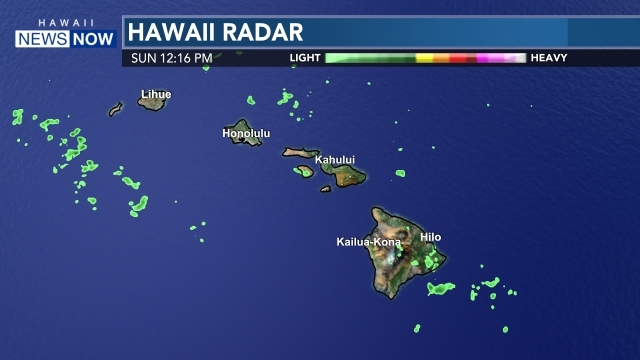 At first, we will see just a few passing trade wind showers for the western end of the state and then more for the eastern end of the state. We are tracking a cluster of clouds and moisture upstream of the islands. This will bring us enhanced trade showers later this week. Until then, fairly pleasant and quiet. Even though the calendar says it is October, we are still seeing summer swells pump on south shores. 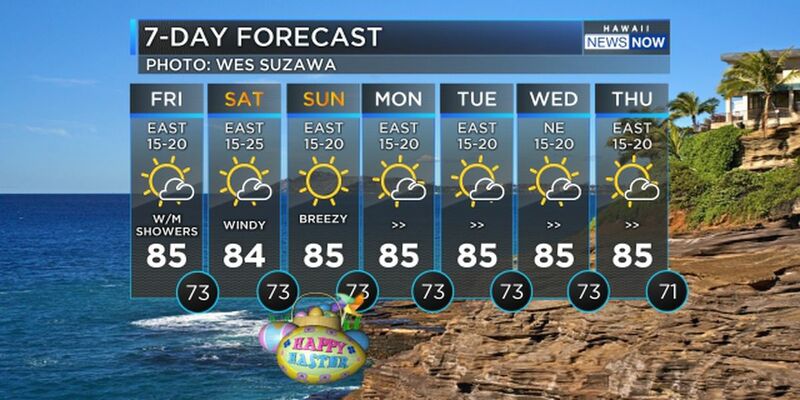 A high surf advisory is up through Tuesday for south shores and then another swell will be arriving on Wednesday. Wax up those boards! Long-range models show possible instability reintroduced into the forecast Sunday into Monday. This may mean some thunderstorms for parts of the state. Stay tuned. We will be tracking the progression of these potential changes. Enjoy your week! Autumn is in the air!